I remember a colleague and fine organist playing me a transcription for organ of a pot-pourri of excerpts from Puccini’s ‘Madama Butterfly’ and very effective it sounded too. 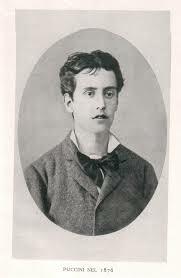 I was reminded that Giacomo Puccini came from a family of organists (for example, one of his predecessors, Domenico Puccini, wrote some excellent organ sonatas) and was foreseen by his family to eventually succeed his father (who prematurely died in 1864) as organist of Lucca’s San Martino cathedral. 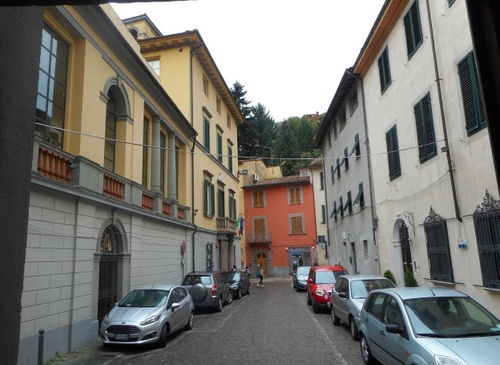 Indeed, in 1875 Puccini came first in the organ examinations held at Lucca’s (then Pacini, now Boccherini) music institute where he was a student. However, despite his mother Albina’s persuasion, Giacomo Puccini’s applications to become organist of Lucca cathedral were all turned down. This didn’t, however, mean that Puccini was able to make a modest living playing the organ. Indeed, several of Lucca’s churches all benefitted from his competent playing. 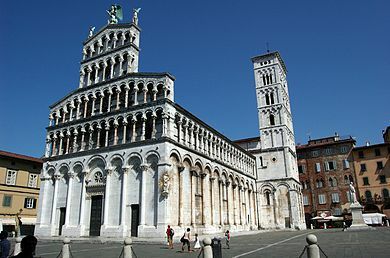 The Servite church (where Colombini holds some magnificent concerts with the Lucca Philharmonic orchestra), and San Pietro Somaldi (where Puccini carved his name on the organ case) are just two in Lucca and there were other churches where Puccini played the organ; for example at Farneta (where the recently restored organ also bears his carved name – rather in the fashion of English schoolchildren on their desk-tops). Puccini also improvised, transcribed and composed pieces for the organ in his youth. Perhaps it was because of his improvisations that he may have been refused the ultimate accolade of becoming organist of Lucca’s cathedral. Evidently, Giacomo introduced some themes that may have been regarded as not religious enough by the church authorities and veering too much towards the operatic. Nevertheless, it was not unusual to do this until the advent of the Caecilian reform undertaken by Saint Pius X in the first years of the twentieth century. In any case, Giacomo must have soon come to the conclusion that he was more fitted for the opera stage than for the organ loft. A CD of Puccini’s organ compositions played by Liuwe Tamminga, head organist of Bologna’s San Petronio, was issued in 2008 on the occasion of the 150th anniversary of the composer’s birth. 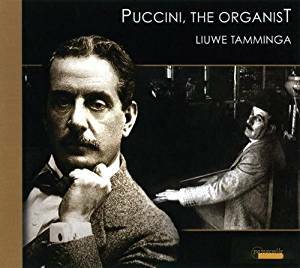 It’s available on Amazon at https://www.amazon.co.uk/Giacomo-Puccini-Organist-Liuwe-Tamminga/dp/B009E7S9XA. Many of the items on the disc consist of transcriptions but there are also some fugues which Puccini wrote for his pupil Carlo Della Nina who lived in Porcari (not too far from the Materis paint factory where I worked as a business English teacher). Indeed, as recently as 2014 a march written for organ was rediscovered in a private collection at Porcari and performed ninety years after the composer’s death. Specific Puccini works where the organ (or even harmonium, if the organ is not available) plays a major part is the ‘Vexilla Regis’, the ‘Salve Regina’ (subsequently incorporated in his first opera ‘Le Villi’), and his Requiem in memory of Verdi of 1905. In Puccini’s major operatic works the organ plays a magnificent part in the sumptuous ‘Te Deum’ concluding act one of ‘Tosca’ and at the end of ‘Suor Angelica’. It is also the same organ on which Giacomo Puccini played the accompaniment to his youthful ‘Vexilla Regis’ commissioned by our mayor Betti’s great grandfather, Adelson Betti for Holy Week in 1878 when the composer was barely twenty years old and very much in need of some cash. ‘Vexilla Regis’ is a favourite of our local church choir and to look forwards to the day when this piece will be accompanied by the same organ on which Puccini himself played will, indeed, send a tingle down my spine. 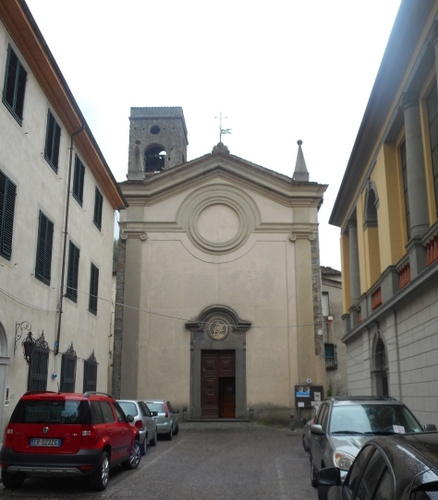 (If you want to know more about San Pietro di Corsena, the ‘Vexilla Regis’, hear a recording of it and learn further about Puccini’s connection with Corsena do read my post at https://longoio.wordpress.com/2014/01/30/puccinis-first-hit/ ). Of particular interest is the fact that our parish church’s organ was originally built for the church of San Michele in Foro in Lucca. 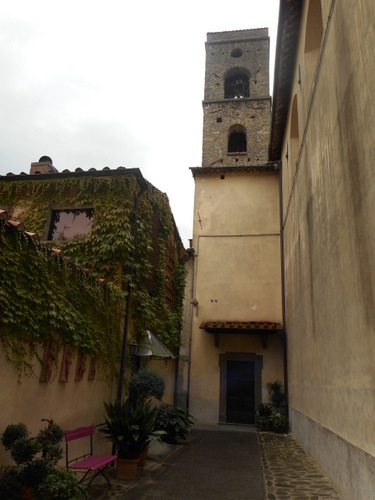 If you climb up to the attic of Puccini’s birth house in Lucca you’ll get a wonderful view of the statue of San Michele which the composer would wake up to see every morning. It was this very organ which was remounted in Corsena when San Michele received a new organ built by Odoardo Landucci in 1864. A true organ transplant, if ever there was one! 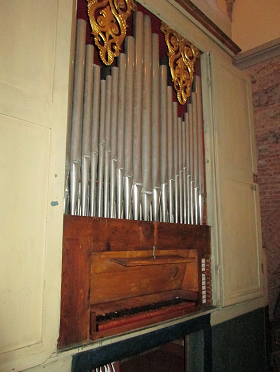 Happily, funds have now enabled restoration on Corsena’s organ to be started. 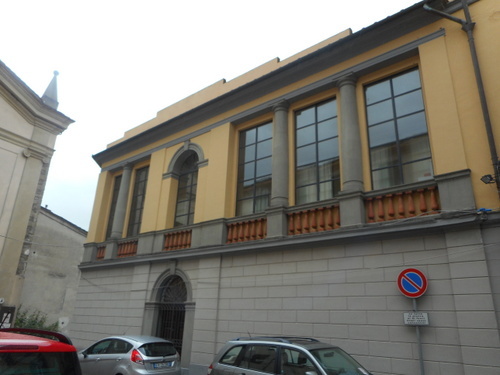 The firm of Samuele Maffucci from Pistoia, where the colleague I mentioned at the start of this post also works (Enrico Barsanti), is in charge of the repair. The work is due to be completed by 2017 and the organ will again become a major contributor to liturgical functions, concerts and general music-making. The cost is around 45,000 euros, much of which comes from local sponsorship, the Italian episcopal council and from parishioners’ contributions. I am sure that it will be a great day when our parish church will again resound to the strains of its resurrected organ. It will truly turn out to be a fabulous occasion! What next I wonder? 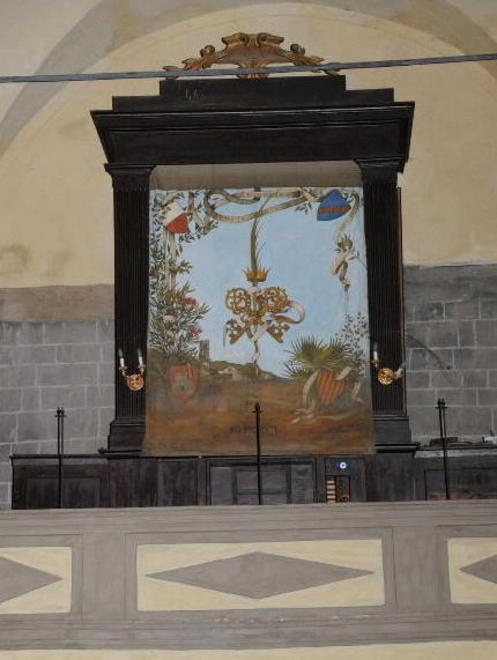 The restoration of the 1774 Michelangelo Crudeli organ at the Pieve di Controni? I do hope so! It’s often not realised that the Lucchesia has over three hundred organs which testify to the immense musicality of this area of Italy. In addition, a very large number of these organs are precious historical instruments dating as far back as the sixteenth century. In the UK it’s very much a different matter until the nineteenth century. Many of that country’s historical organs were destroyed by the taliban equivalents of the time: the reformation and the puritans. It’s, thus, a major experience to hear some of the wonderful kings of instruments which still grace so many of the churches in the Lucchesia and which are increasingly being revalued and restored. In our own Bagni di Lucca, for example, restoration of the organ at our parish church at Corsena is planned to commence soon. 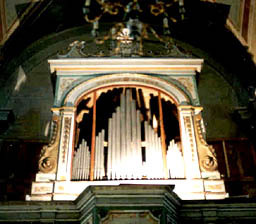 This organ, which has remained silent since 1987, was built by Paolino Bertulucci in the first half of the nineteenth century. It is the same organ on which Giacomo Puccini played the accompaniment to his youthful ‘Vexilla Regis’ commissioned by our mayor Betti’s great grandfather, Adelson Betti for Holy Week in 1878 when the composer was barely twenty years old and very much in need of some cash..
Also of interest is the fact that our parish church’s organ was originally built for the church of San Michele in Foro in Lucca. 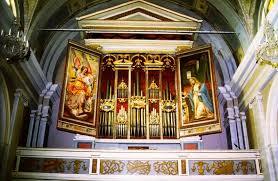 It was remounted in Corsena when San Michele received a new organ built by Odoardo Landucci in 1864. Now in its twenty-second season, the ‘Domenico Lorenzo’ Association this year presents four recitals performed on historical organs in the Lucchesia with the support of the Cassa di Risparmio di San Miniato S.p.A. and the Fondazione Cassa di Risparmio di Lucca. 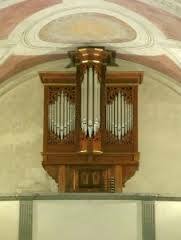 The first recital is on Sunday, October 2, at 9.15 pm, at the Church of S. Micheletto, where organist Luca Scandali performs works by sixteenth and seventeenth centuries Italian composers on the Bartolomeo Ravani organ dating from 1660, accompanied by Mauro Occhionero on traditional Renaissance percussion. On this occasion the “Balli, battles and songs” CD (Brilliant, 2016), recently recorded by the two artists on the Zeffirini organ (1551) in St. Stefano church, will be presented. All concerts are free entry. In the second concert, on Sunday, October 9 at 6 pm, Gabriele Giacomelli will perform music by Italian composers of the seventeenth and nineteenth century on the Odoardo Landucci and sons organ (1867-9), recently restored by Glauco Ghilardi, in San Lorenzo church, Farneta. As per tradition, the season includes an evening dedicated to the screening of a silent film accompanied by an organ improvisation. 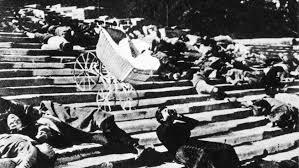 The film is Eisenstein’s “Battleship Potemkin” (1925), and the event will take place on Wednesday, October 12 at 9.15 pm in the splendid setting of the church of St. Francesco, with Edoardo Bellotti (see photo) on the organ and with a historical and critical presentation by Pier Dario Marzi on behalf of “Ezekiel 25:17” Cineforum which organizes the event. The season ends on Wednesday, October 19 at 9.15 pm in the church of St. Stefano, with the ‘Gesualdo Consort of Gesualdo’ chorus accompanied by organist Daniele Boccaccio (see photo), who will perform music by Pietro Vinci (Sonetti spirituali, in the version for choir and organ) and other authors of the sixteenth and seventeenth centuries on the precious Zeffirini Onofrio organ which dates from 1551. 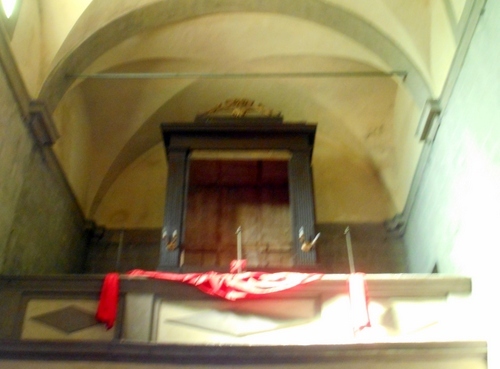 During the Nazi massacre that, on August 12, 1944, claimed the lives of 560 innocent people, even the small organ of the church of Sant’Anna di Stazzema was destroyed by the SS machine guns. In 2007, sixty years after the tragic massacre, music returned to the small town in Versilia, thanks to its Peace Organ Festival. The Peace Organ is a remarkable instrument built by Glauco Ghilardi from Lucca. It’s in the great tradition of the Baroque organ builder in northern Germany, Arp Schnitger (1648-1710) and is the result of the awareness and input of two German musicians from Essen, Maren and Westermann, who, in 2002, embarked on a fundraising trail for the organ in Germany and Italy through concerts under the patronage of the Presidents of Italian and German Republics and with the support of the Tuscany Region, the Province of Lucca, the Municipality of Stazzema and other municipalities and Italian and German institutions. The Peace Organ is located in the little church of Sant’Anna di Stazzema, in the National Peace, park which offers visitors the opportunity of visiting the History Museum and the park’s beautiful woodland paths. The Organ Festival of Sant’Anna di Stazzema Peace reaches its tenth year and, thanks to the collaboration between Italy and Germany, also hosts internationally renowned musicians. 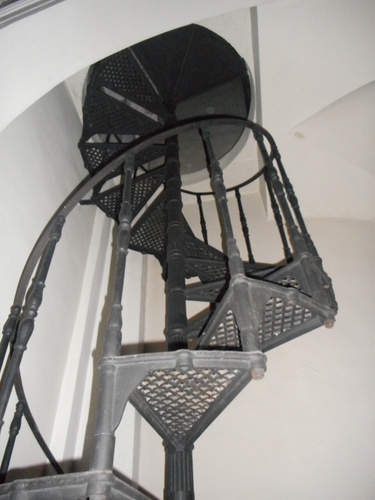 There are six concerts, each Sunday from July 17 to August 21 in the Church of St. Anna di Stazzema and a lecture at the S. Anna di Stazzema Historical Museum. The Festival, which is emerging as one of the highest musical quality appointments in the rich panorama of Versilia, is a concrete expression of the power of music to promote dialogue, understanding and collaboration between peoples and cultures. During the concerts funds will be collected for the expansion of the organ with a deep bassregister to the pedal, whose inauguration is scheduled for the organ’s tenth anniversary. Sunday, July 17 at 4.30 pm Edoardo Bellotti will hold a conference entitled “The Time Machine”. Sunday, July 24 at 6 pm there’s a recital by the German organist Sebastian Küchler-Blessing. Sunday, July 31 at 6 pm there’s a recital by the Italian organist Gabriele Giacomelli. Sunday, August 7 there’s a recital by the duo formed by organist Michele Savino and Italian oboist Tommaso Guidi. Sunday, August 14 at 6 pm there’s a recital by German organist Martin Bernreuther. Sunday, August 21 at 6 pm there’s a recital by Italian organist Alessandro Bianchi. 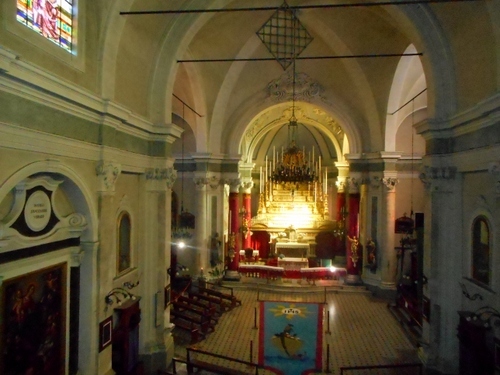 The 2016 Corsanico festival opens in the atmospheric church of S. Michele Arcangelo. The 35th International Festival of Classical Music is organized by Corsanico’s “Vincenzo Colonna Organ Friends Music Cultural Association “. Eight concerts, four in July and four in August, will have as their central theme the great and historical organ now known throughout the world. The festival is sponsored with the prestigious patronage of the Senate, the Tuscany Region and the Province of Lucca. The opening ceremony, on Sunday July 10th at 9.15 pm, is entitled “Tribute to Francis Poulenc.” It stars a sensational sextet comprising members of Genoa’s Carlo Felice theatre orchestra: Francesco Loi – flute; Guido Ghetti-oboe; Luigi Tedone -bassoon; Valeria Serangeli-clarinet; Carlo Durando-horn; Edward Barsotti-piano and organ. Tickets are € 10 each. Saturday 16th. “Dal Barocco al Romanticismo”. The great organist Giancarlo Parodi will perform music by J. Kayser, G. Salvatore, J. S. Bach; Mendelssohn and Liszt. Saturday 23rd. “Serata Bach: preghiera e poesia” (‘Bach evening: prayer and poetry’) . Music and cantatas by J.S. Bach, performed by Anna Caprioli-soprano and Sergio Chierici-organ. Alessandra de Negri-soprano; Lilian Stoimenov-trumpet and Marco Vincenzi-organ; music by A. Caldara, C. F. Pollarolo, T. Albinoni, Vivaldi, Galuppi and G. Giordani. 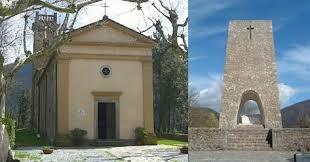 Italy is so full of riches that just one church in a provincial centre could require several posts dedicated to it. 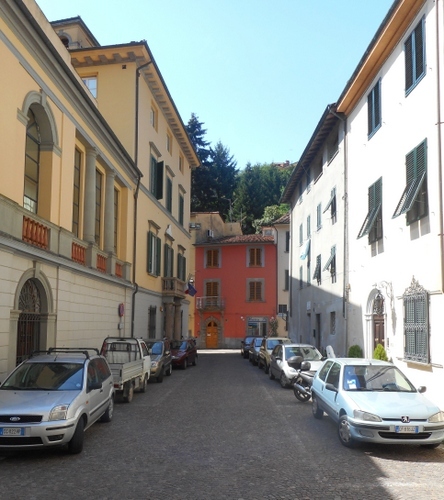 Piazza San Rocco in Borgo a Mozzano is easily missed unless one is going to the library, now re-housed in the splendid palazzo Santini on the south side of the square. Closing the piazza is the parish church of san Rocco, a saint better known as Saint Roche in France and the UK and the patron saint of plague and pestilence victims. Fortunately, occurrences like the Black Death have been wiped out (I hope) in the west so there is less need to invoke Saint Roche. However, the beauty of this secondary church in an easily by-passed square in an easily by-passed town needs to be savoured and appreciated. 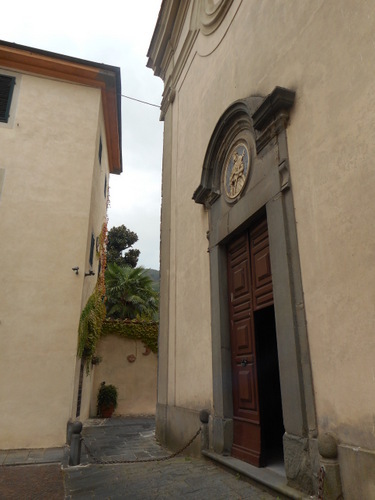 In 1527 a chapel was built over the site of Saint Sebastian’s oratory by members of the confraternity of San Rocco in Cerreto (the village overlooking Borgo a Mozzano) and dedicated to San Rocco and Saint Sebastian. The chapel was expanded into a church between 1607 and 1627. 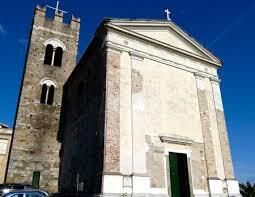 San Rocco e San Sebastiano was consecrated on the third of July, 1746. The present church dates largely from between 1760 and 1791 when the choir and apse were enlarged. The classical façade is both dignified and elegant, looking out onto the square which was formed by the demolition of some houses. 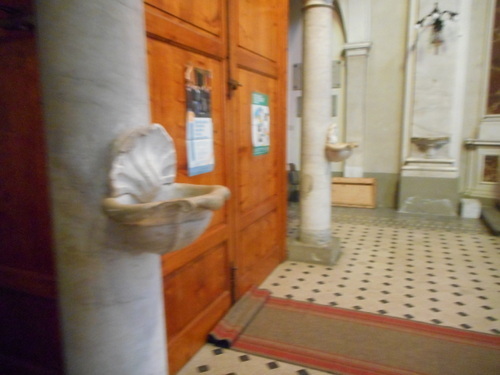 Above the entrance there’s a round marble bas-relief depicting Saint Roche. The construction of the campanile in 1690 made the church rather unstable and it has had to be stabilised and reinforced by iron chains. 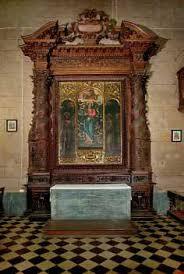 San Rocco’s interior is aisle-less and in the form of a Latin cross. It has six altars. The four before the transept are decorated in stucco and were built by Giovanni Battista Lazzari, Sebastiano Lippi and Giovanni Maria Michelacci. 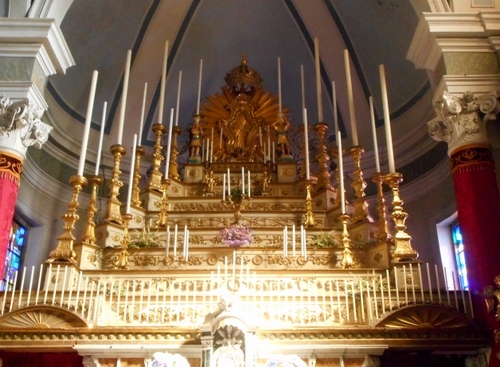 The four side altars are dedicated to Saint Anne, the Crucifix, the Virign of Sorrows, and Saint Gregory, respectively:. Of particular interest in the apse are the three rare frescoes by neo-classical Luccan artist Luigi Ademollo who worked at the beginning of the nineteenth century. 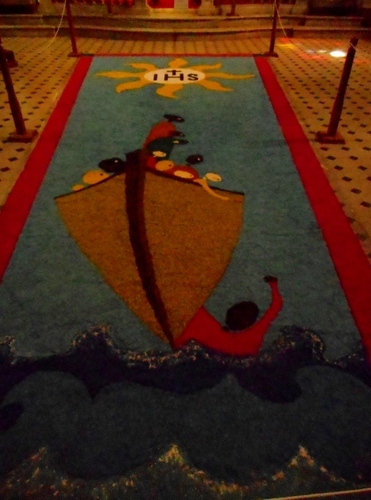 They represent the Centurion, the Redeemer and Baptist and the distribution of the loaves. For me one of the major delights in the church is the decoration of the organ (by Nicomede Agati) balcony depicting musical instruments including the violin and a viola da gamba, showing that this instrument was still very much in vogue in the eighteenth century. Who knows, perhaps music-making in the organ loft was once enriched by orchestral instruments in a manner similar to that described in Dorset by Thomas Hardy in his ‘Under the Greenwood Tree’. 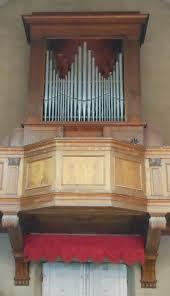 I hope Borgo appoints organists who don’t suffer from vertigo! It’s so easy to get blasé about the lovely things which particularly abound in Italy. Often one has to see familiar places with new eyes to really relish them. 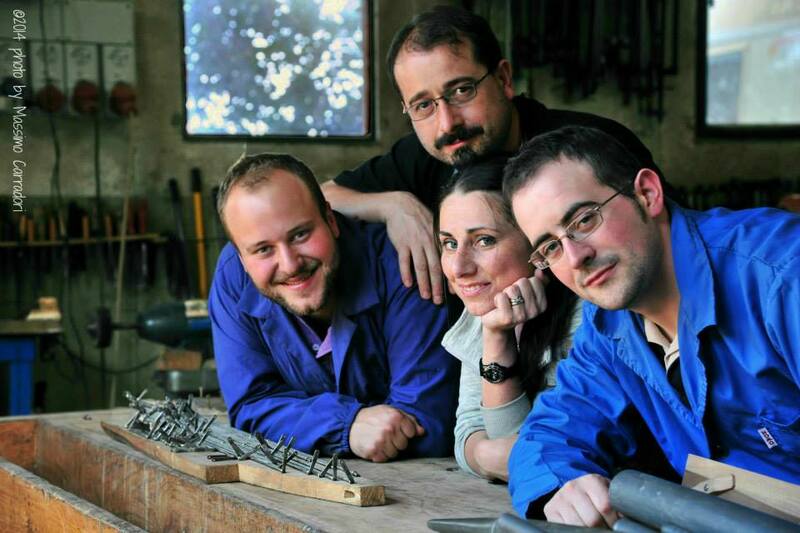 Now in its twenty-first season, the Domenico Lorenzo Association offers, this year, a program of four concerts performed on the territory’s historical organs with the sponsorship of the Cassa di Risparmio di San Miniato SpA and the Fondazione Cassa di Risparmio di Lucca. The first event is on Friday, October 2nd, at 9.15 pm, at the Church of S. Salvatore della Misericordia, where organist Andrea Vannucchi performs Italian composers from the sixteenth to the nineteenth century on the instrument attributed to Domenico Pucci (1830 ca .) which has been recently restored. In the second concert, Saturday, October 10th at 6:30 pm, Gianpaolo Prina inaugurates the restoration of the Domenico Pucci organ (1828) in the church of the Convento di San Cerbone, restored by Glauco Ghilardi through the Lions Club Lucca Host. Free admission. The third concert is on Friday, October 16th at 9.15 pm in the church of St. Peter Somaldi, Lucca with organist Antonio Galanti who performs music by Italian composers from the seventeenth to the nineteenth centuries on the valuable Cacioli Domenico organ (1687), expanded and modified by Paolino Bertolucci, Pietro Paoli and Filippo Tronci. Free admission. Now in its twenty-first season, the Associazione Domenico di Lorenzo offers this year four concerts performed on the territory’s historical organs, with the contribution of the Cassa di Risparmio di San Miniato SpA and the Fondazione Cassa di Risparmio di Lucca. As usual, the season will conclude with an evening dedicated to the screening of a silent film accompanied by organ improvisation. The event, will screen a masterpiece by Fred Newmeyer and Sam Taylor (“I prefer the elevator,” 1923), will take place on Friday, October 23rd at 9.15 pm in the sumptuous setting of the church of St. Francesco, with Matteo Venturini at the organ and an introduction by Pier Dario Marzi on behalf of the “Ezekiel 25:17” Cineforum who is helping to produce the event. Free admission.